The INMO says its a 9% increase on 2017 – itself a record high – and nearly double the number in 2006 when records began. LAST YEAR WAS the worse record of hospital overcrowding says the Irish Nurses and Midwives Organisation (INMO). 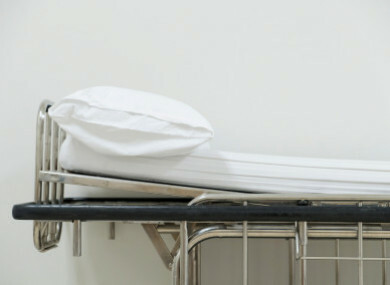 According to their Trolley Watch report 108,227 patients went without hospitals beds in 2018, a 9% percent increase on 2017 and double the number since records began in 2006. The months with the highest figures were January (12,201), February (10,772) and March (10,511). The hospital which was most impacted was Limerick University Hospital that saw 11,437 patients go without beds. The INMO blames the crisis on low capacity and understaffing. 2019 has, so far, got off to a promising start as the number of people on trolleys today has dropped by 54% compared to the same day last year, according to the HSE. However 236 patients are still awaiting admission to a hospital bed across the country. The health service said that the month of December saw a 19% decrease in 8am trolley numbers compared to December 2017. It added that the comparison with quarter 2018 is skewed by the impact of a number of severe weather events. It thanked the public for using alternative service options available including injury units, local GP and pharmacy services. Email “Worst year on record: Almost 110,000 patients went without hospital beds last year”. Feedback on “Worst year on record: Almost 110,000 patients went without hospital beds last year”.